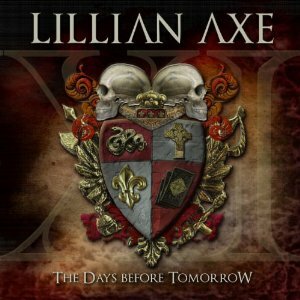 Hall of the Mountain King: Review: Lillian Axe, "XI: The Days Before Tomorrow"
Review: Lillian Axe, "XI: The Days Before Tomorrow"
Growing up in rural northern Louisiana, I didn’t often get to see my guitar heroes live. Maybe that’s one reason Lillian Axe’s Steve Blaze became one of them. I could be guaranteed to see the New Orleans-based band at least a couple of times a year somewhere, and Blaze’s, well, blazing fretwork was, and still is, impressive. There was a little dive bar called the Cartoon Lounge tucked away next to a highway overpass in Monroe. It’s long been closed and demolished, but I have fond memories of it. I didn’t go there to drink. I didn’t go there to socialize. I went there for music. You’d often find me by myself, leaned up against one of the poles that ran through the middle of the building, in my own little world, intently studying whatever band was playing. Yeah, I was that guy. One of those bands was Lillian Axe. I remember seeing them there several times (at least a few of those nights were before, legally speaking, I should have been in the building). Heck, I even remember standing out on the front porch and listening on a night when I was 17 and the police presence dictated strict carding. Every time I spent an evening watching Blaze play, I went home inspired, determined to make my fingers fly across the fretboard like that. They never did, of course. It was the single “Misery Loves Company,” from the band’s 1988 self-titled debut — produced by Ratt’s Robbin Crosby — that put them on the hard-rock map. But they were never quite able to crack the mainstream, despite better songs than some of the big bands of the day. By the time their fourth record, 1993′s Psychoschizophrenia, was released, there were just as many progressive elements to Lillian Axe’s sound as influences from the decade of decadence. Grunge had come in by then, and the band broke up shortly after in 1995. It was 2007 before Lillian Axe returned in full force — and what a return it was. Blaze had years to put together the songs on Waters Rising, and it showed. They had a new lineup that included singer Derrick LeFevre taking over for long-time singer Ron Taylor. It was a monster of an album, every bit as good as their classic material. The follow-up in 2009, Sad Day on Planet Earth, was a more morose affair and a bit of a downer. The years since that release have brought ups and downs. Lillian Axe became the first metal band inducted into the Louisiana Music Hall of Fame, but lost LeFevre just before the release of 2010′s Deep Red Shadows, a collection of a few new songs and some acoustic re-recordings of older material. Metal Church’s Ronny Munroe came aboard as vocalist, but didn’t hang around long. Finally, Blaze recruited Jackson, Miss.-based singer Brian C. Jones, a long-time fan of the band, for their latest release XI: The Days Before Tomorrow. Jones will take some getting used to for fans of Taylor and LeFevre. His voice is not a huge departure, but it does have a little more of a modern rock flavor than those guys. Some, I’m sure, won’t like it, but some didn’t like LeFevre, and if you go far enough down into the bayou, you’ll still find people who will tell you Johnny Vines, who never recorded with the band, is the only “real” singer of Lillian Axe. So that’s nothing new. The music on The Days Before Tomorrow is much more akin to Waters Rising. You know from the beginning that this record is going to rock. Opener “Babylon” begins with a little bit of shred from Blaze that leads to a big, memorable main riff. It also brings in some of the more progressive elements off the bat with a lilting pre-chorus that blasts back into a heavy, catchy refrain. The lack of big hooks was a problem on Sad Day on Planet Earth, but it’s been fixed here. A perfect example is the lively rocker “Gather Up the Snow,” with its absolutely infectious verse melody. It’s probably the closest thing here to the band’s classic material. “Take the Bullet” features another one of those bouncy riffs that harkens back to the early days and a groove that’s impossible to deny. The best riff on the record, though, comes late with next-to-last tune “Lava on My Tongue.” It has the grungy feel that’s crept into Blaze’s songwriting since Waters Rising. It gives the song a little bit of a grittier feel, and there’s another great hook on the chorus. It’s probably my favorite song on the record. On the slower end of the spectrum, “Death Comes Tomorrow” features a nice piano line with a building melody that brings it to another big chorus. Blaze has always had a deft hand with acoustic passages, and there are some nice ones here. One opens “The Great Divide” before it explodes into soaring electrics, and the ballad “Bow Your Head” is solid in that department, though I’m not quite sold on the song overall. Album closer “My Apologies” (if you don’t count the strange hidden track), is the superior ballad. Some of the things Blaze tries here don’t quite work. The punkish influence on “Caged In” and “Soul Disease” just doesn’t seem to jibe with the rest of the record, though parts of both songs are catchy. The band on The Days Before Tomorrow is not the same one that recorded “Misery Loves Company,” but Lillian Axe hasn’t been that band in a long time. Neither is it a completely different beast. Many of the same elements are still there — the smooth, shimmery melodies, nice vocal harmonies, great leads from Blaze and solid hooks — they’re just put together a little differently. 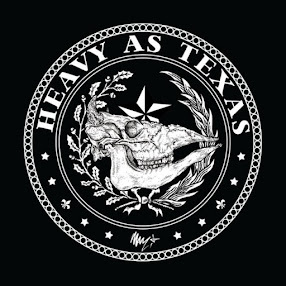 It’s not party music, but it is another fine outing from one of the most underrated hard rock acts out there. Review: Van Halen, "A Different Kind of Truth"